Boca Raton Christian High School is a college preparatory high school. In addition to its challenging academic environment, the school offers a wide range of extracurricular activities to foster each student’s unique gifts and interests. A guidance counselor assists parents and students in the social, academic, and spiritual development of the student, plus helps them take steps to prepare for college and career. 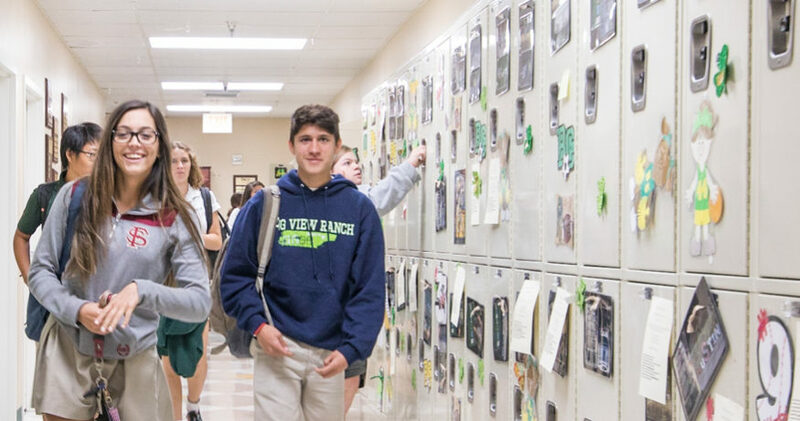 The high school curriculum offers three diplomas: standard, college preparatory, and advanced. The primary difference in the three diplomas is the required credits for math, science, social studies, and foreign language. The college preparatory diploma requires Algebra II and foreign language credits. Since the advanced diploma is designed for students considering a more rigorous college program, physics or an AP science, pre-calculus, foreign language, a minimum of six honors courses, and a minimum cumulative GPA of 3.0 are required. Curriculum offerings for all of the diplomas may include AP courses and/or dual enrollment with Palm Beach Atlantic University, Florida Atlantic University, or Palm Beach State College. Biblical truth is at the heart of our philosophy and our curriculum. A Christian worldview is seeing the world through a Biblical perspective. In addition to strong academics, Boca Christian brings that knowledge to the light of a Christ-centered perspective. 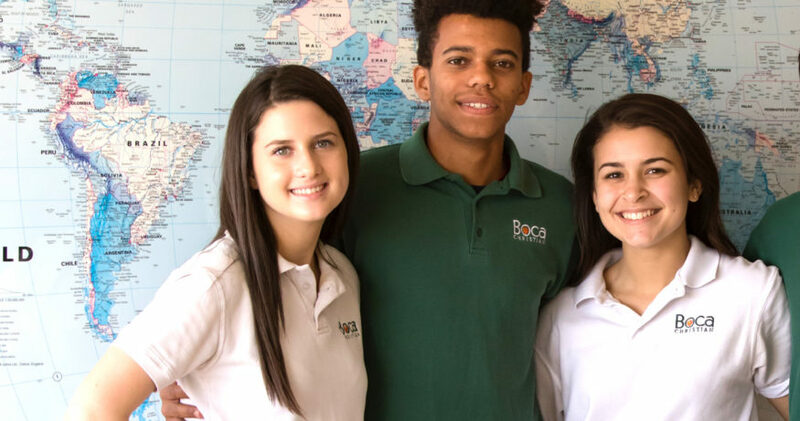 Boca Raton Christian School seeks to provide students with cutting edge opportunities that will equip them to succeed in an increasingly tech-driven world. 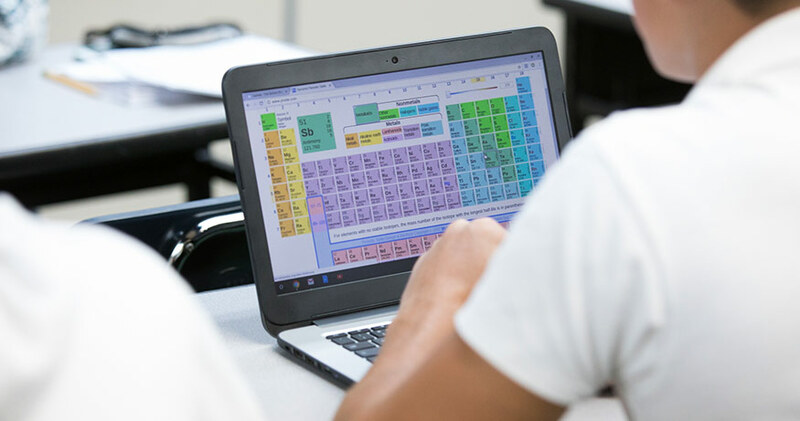 Technology is a key component of the high school curriculum, as evidenced through the distinctive 1:1 program at the high school. This program provides every ninth through twelfth grade student with a laptop. The 1:1 program makes it possible for students to enroll in courses such as Computer Applications and AP Computer Science Principles. These courses extend students’ computer knowledge by focusing on topics such as coding, algorithms, and encryption. Additional course offerings expose students to a mixture of science, technology, engineering, and mathematics. The rigorous but rewarding Robotics course allows students to work with 3D printers and build machines for competitions. BRCS Robotics students have advanced to the state level competition. The Production Engineering course allows students to blend engineering, visual arts, music, communications, and technology as they plan and run live events, including the annual high school musical theater production. The Introduction to Engineering course teaches students how to apply principles from mathematics and physics to solve engineering problems. Regardless of a student’s interests, the high school technology curriculum provides academic freedom to pursue the areas of technology that appeal to him or her. Watch "Developing Leaders of Influence"